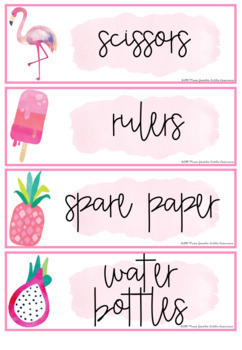 These gorgeous Classroom Labels can be used in endless ways around your classroom! 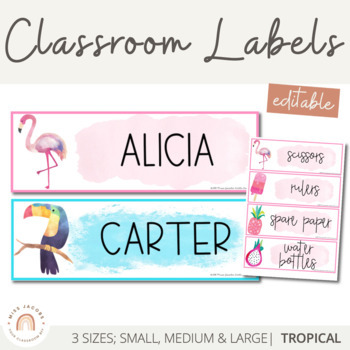 3 sizes included: Extra Large Student Desk Name Plates, Medium Sized Labels, Smaller Bag Tag Size Labels - all editable and with a beautiful, colourful tropical themed print. 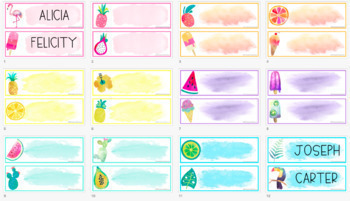 You will need to have Microsoft Powerpoint installed on your computer. 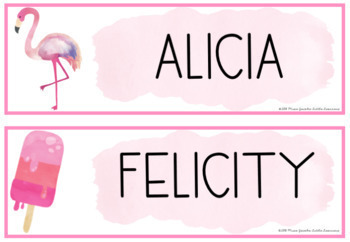 Choose any font you like (must be installed on your computer) and simply type in your text.